Israeli settlers seized a part of a Palestinian-owned land in Jalud village, to the south of Nablus. Ghassan Daghlas, an official who monitors settlement activity in the northern West Bank, told Ma’an News Agency that Israeli settlers, from the nearby illegal Israeli outpost of Ahiya, seized about 10 dunams (2.5 acres) of land, near Palestinian homes built in the village’s land, classified as Area C.
Daghlas added that the settlers, under the protection of heavily armed Israeli forces, razed the land, set up water lines, and laid groundwork for new illegal settlement construction. Daghlas pointed out that, despite the land being planted with dozens of olive and fig trees for decades, Israeli forces have banned the Palestinian owners of the land from entering it since 2001, when it was declared a close military zone. Meanwhile, the Israeli government declared the illegal Shvut Rachel settlement eligible to be added to the “National Priority Map” for additional grants and financial incentives to encourage development. 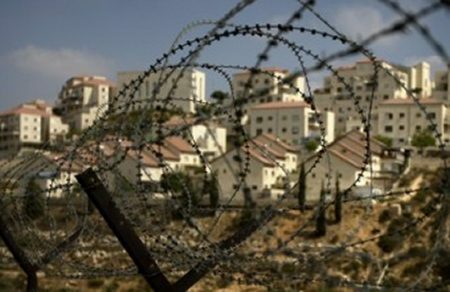 In August, the Jerusalem District Court ruled that if Israeli settlers built a settlement on private Palestinian land with “good intentions”, then it should not be removed, therefore allowing more Palestinian lands to be seized by Israeli settlers as they see fit. According to settlement watchdog Peace Now, in the year and a half since President Trump took office, some 14,454 units in the West Bank have been approved, which is more than three times the amount that was approved in the year and half before his inauguration (4,476 units). Since the occupation of the West Bank in 1967, between 500,000 and 600,000 Israelis have moved into Israeli settlements in occupied Palestinian territory, including East Jerusalem, in violation of international law.